This is our second Foonf. 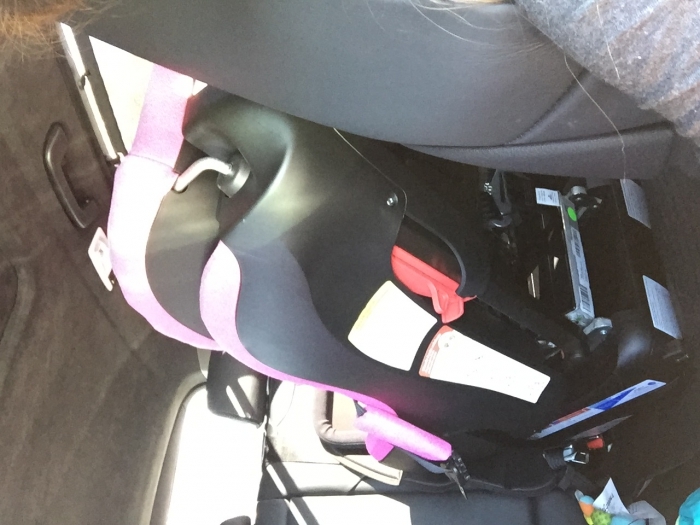 Our first had to be replaced after an accident and of course I didn’t hesitate to buy a Foonf again because it is an amazing car seat. It is heavy, but we don’t need to switch the seat between cars, so that’s a non issue for us. Everything else is phenomenal from the anti-rebound bar, the high rear facing limits, the smooth belt tightening, the stylish look, the easy to clean fabric. We love this seat so much, we are about to buy our third Foonf. Excellent seat-- safe and easy to install. 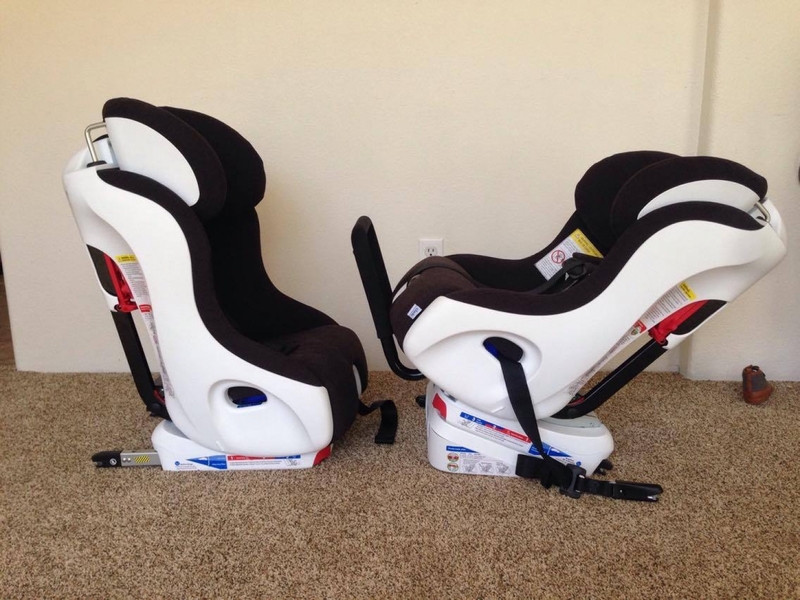 I ordered two of these car seats and love them. The fabric is so easy to clean. Nothing stains it. They are very slim while still being comfortable for my kids. Also you don't lose any style when you purchase a Clek. I highly recommend. 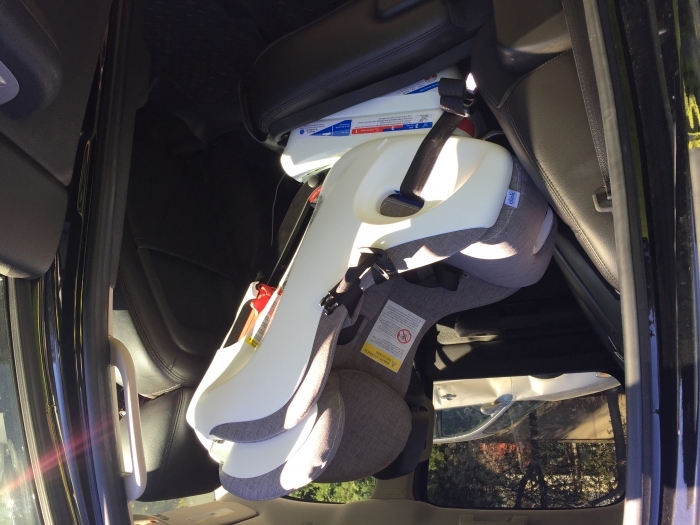 The foonf is a car seat that will actually last until it's time for a booster. It's modern simplicity and easy install make it a seat you won't grow tired of or frustrated with. The seat never stains and with a quick wipe looks brand new. We have the 2013 Foonf for our first child and love it, so we got the 2016 for our second child. We love this one even more than the first one! It's a tank and weighs a ton, but we rarely move it so that isn't an issue for us. It's a good looking seat that goes well with our interior, repels the sand and drool and general grossness our daughter gifts it with, and is comfortable and a great height for looking out the window (these last two traits are confined by picky four year old Clek loving brother himself). I like the new color choice and the improved crotch strap and shoulder pads on the 2016 model. We have both the black and white capri. Would take another. Safety ratings are the biggest driver. So far so good and hope we never have to put safety to the test. This was a replacement after being in a crash with our original. This model has softer shoulder pads and better seatbelt lock offs than the previous one- both upgrades that I was happy to see. We've been very happy with both of our Clek seats and their customer service is excellent. The carseat was easy to install. It's narrow, but tall and heavy. I wouldn't take it for traveling. Our baby seems very comfortable in it. Best out there hands down! 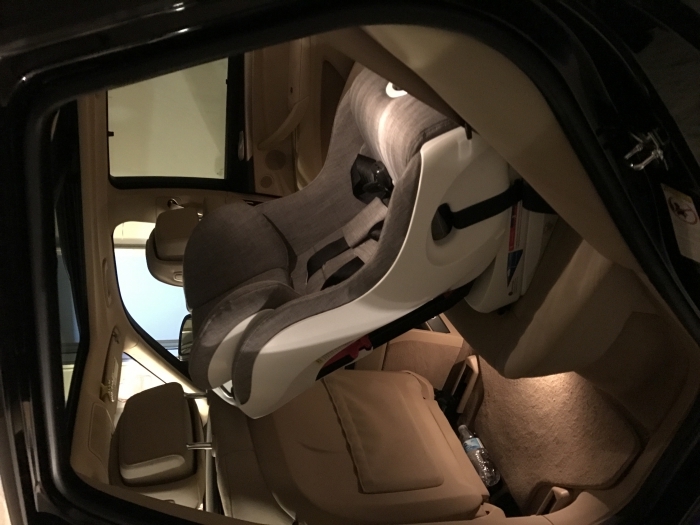 My wife and I put a lot of research into a car seat for our son. After weeks of comparing seats and their pros and cons we decided the clek foonf was the one for us! 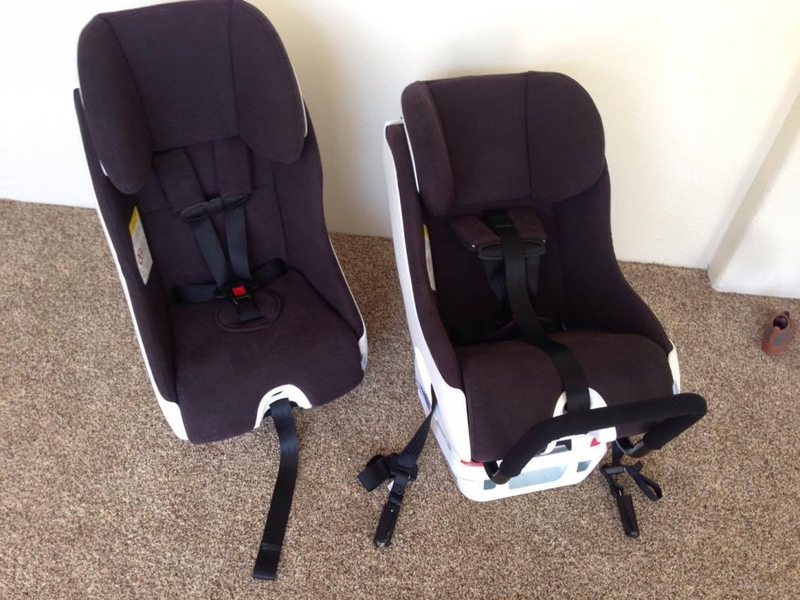 Albee baby has the best price because the seat was tax free and had free shipping! When the car seat got here it was exactly as we researched! We love it and our son loves it as well. It gives us peace of mind knowing our baby boy is riding in the best! This seat is heavy and takes up a lot of room front to back. I have a 2016 forester and have to have the drives seat forward more than I'd like to be comfy. 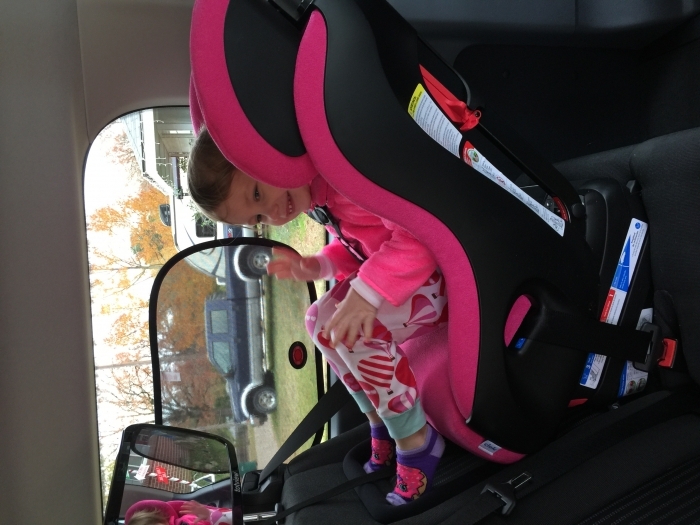 We've owned a Diono Radian for our oldest daughter for 4+ years. We just purchased a Foonf for our 10-month-old and I could appreciate the step up in quality by the time we had it out of the box. This is the highest quality car seat I have ever seen. It is well-built of quality materials and I absolutely love the fact that it is made in Canada instead of China. Additional details that stand out to me are that the head-protection piece won't slip out of place as it regularly does with our Radian, and the straps snug up nicely - much more smoothly than the ratchet system in our Radian. 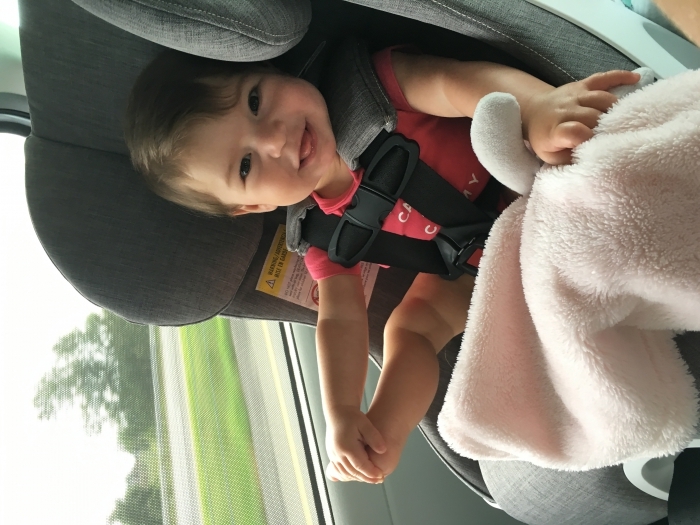 We purchased this car seat due to the great reviews and because it was designed for extended rear-facing. We have been using our Foonf for around a month and we are so happy with it that we are considering buying another one to replace our falling-apart Radian. This is our second Foonf and we love it. I would also highly recommend the cleaning products. ConsHeavy, and it would be nearly impossible to travel with. I bought this seat for my eight month old daughter. 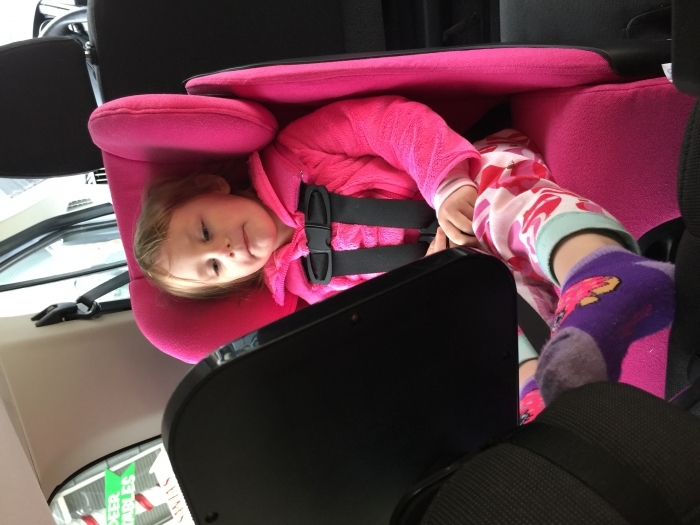 She's very tall for her age so she outgrew her infant seat quickly. This reclines and is super spacious. It does take up a lot of room vertically and horizontally in our infinity qx60. The height makes it a tad hard to see if you look over your shoulder through the back windscreen. She has a lot of room to grow and she loves sitting in this seat. 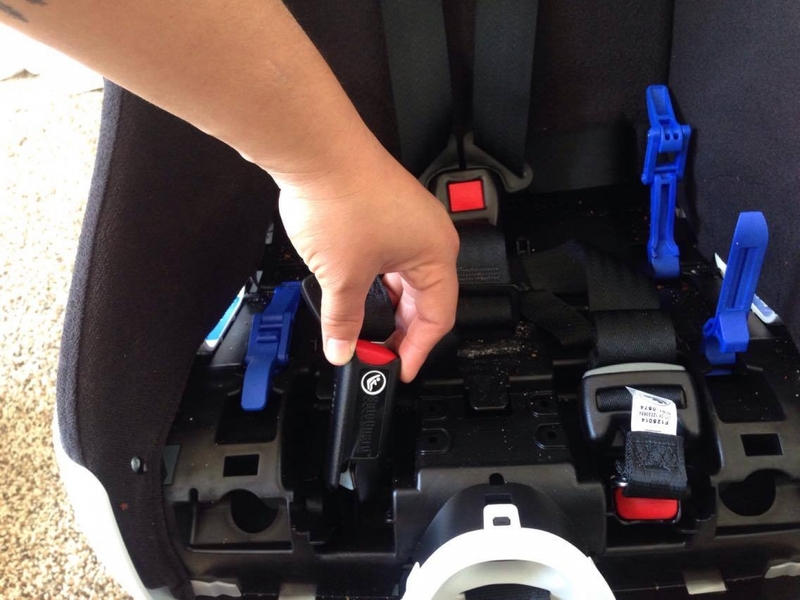 I transitioned my almost 2 year to this seat a few weeks ago from his orbit G3 infant seat. I went back and forth for quite some time because I loved my orbit and wanted the same convenience but ultimately decided to go with the Foonf and I'm so pleased with my choice! 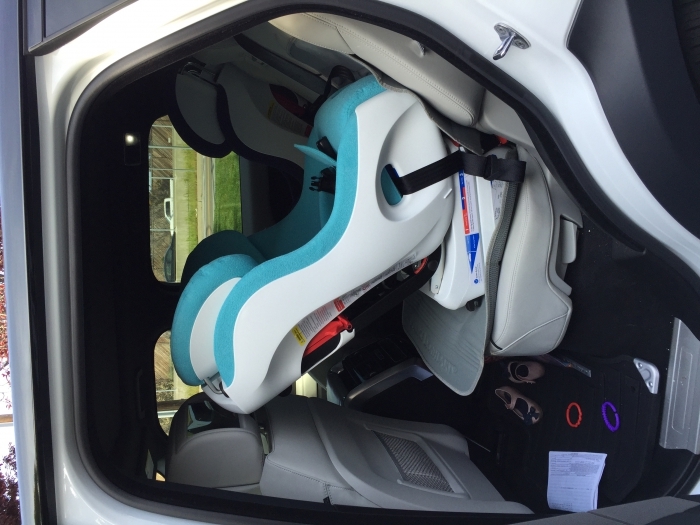 It fits in the back seat rear facing very comfortably and my son loves it. Even though he is quite petite the seat fits him well. Our 2nd one because we love it so much! 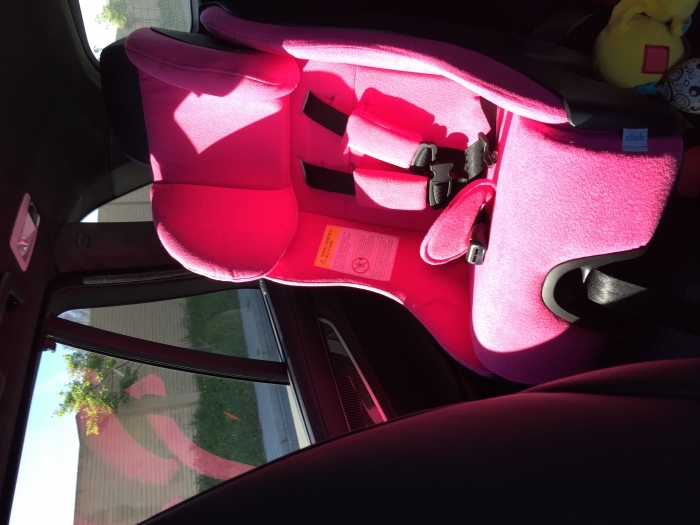 My 3 1/2 year old son is still rear facing in his Foonf we got in 2013, and I just got this one for my 13 month old daughter. 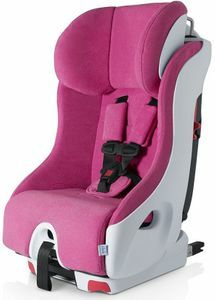 In my opinion, this seat is the easiest to use properly and has such high limits to keep our kids as safe as possible. I also love that this is the only seat that allows my kids to see out the window in our Toyota Highlander. I recommend this seat to every parent if the topic of car seats comes up. In love with the Foonfs!!! For our 2 girls, we have 4 Foonfs for our 2 girls. This is the safest car seat out there. 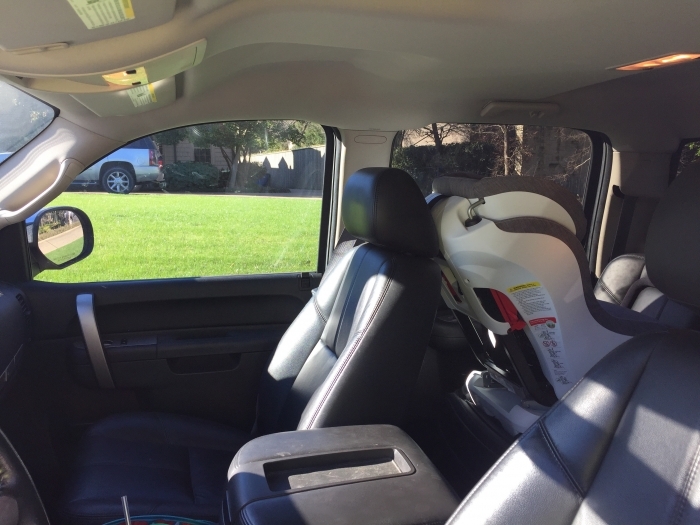 I have the Diono, Orbit, and Britax and Clek has been the obvious high quality, well built car seat for our family. My daughters are rear facing till 3. The fun colors are great and fun for he kids. They are expensive but worth it in my opinion. Safety is not negotiable in our family. ProsSafety, extended rear facing, fun, sturdy, easy to install with YouTube videos, and extremely quick install for forward facing. Great car seat. Shipped efficiently and arrived pretty quickly. The cardboard of the box the seat was shipped in was a bit beat up, but the seat was intact- no damage. The color is beautiful - looks like Tiffany blue. The seat is compact, 2 more people easily fit in the back. Baby has plenty of room in the seat and loves looking out the window ( seat is high). 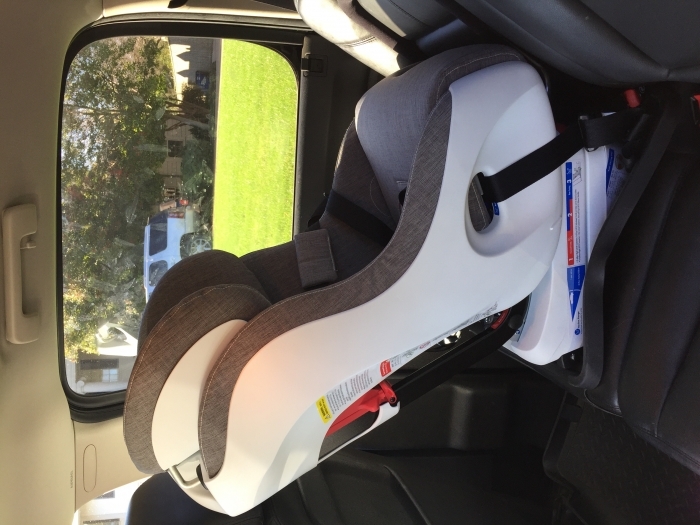 This seat is the most recommended convertible car seat from the nationally certified car seat installer and expert that lives near me. Haven't installed it yet but very exited. Fantastic product quality and features. Comfortable for a baby with plenty of room to grow. Very easy moving buckling system with plenty of strap length. Great modern look. We bought this seat to replace a Chico infant seat. 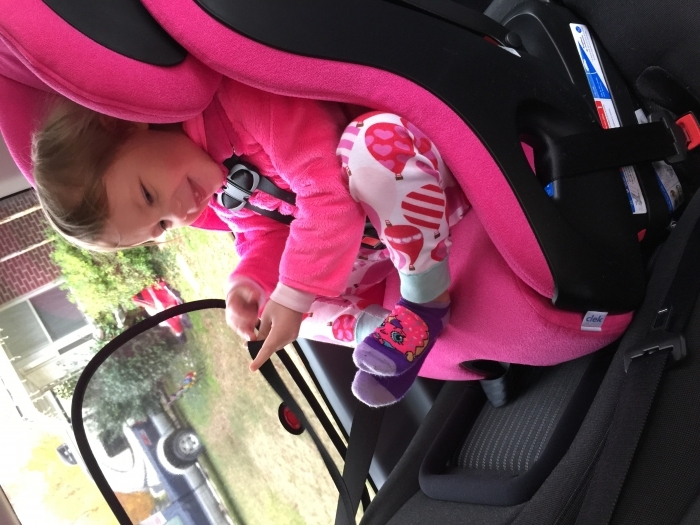 We were most interested in the Foonf because of the safety this seat provides. We've been using it for a few weeks and so far I would recommend it. It feels much more sturdy than the Chico and your can see why the price is higher once you handle it. It seems well built and the fabric is more like nice upholstery than a typical car seat. This seat is worth the money and then some. I feel that it provides the safest choice for our son. He seems to like the seat more than the Chico which is great. This seat has it all; looks, safety, fit and finish, and comfort. ProsStylish, safe, easy to use, sits up high, side impact protection, comfortable. We own a 2015 Clek Foonf and just bought a 2016 for our second son. The new seatbelt lock offs are SOOOO much better and made installation much much easier in the rear facing position. I love the Foonf. It's built like a rock and gives me peace of mind. Downsides include no way to adjust the shoulder strap height without rethreading the straps. This is a minor inconvenience. Arrived quickly. Read the manual and was able to put it together quickly (headrest arrives uninstalled). Installed the anti-rebound bar and made a few harness adjustments and was ready to install. Went in easily and my toddler loves seeing out the windows rear-facing! Thanks for excellent purchase! Love the modern design! Very comfortable and easy to install. 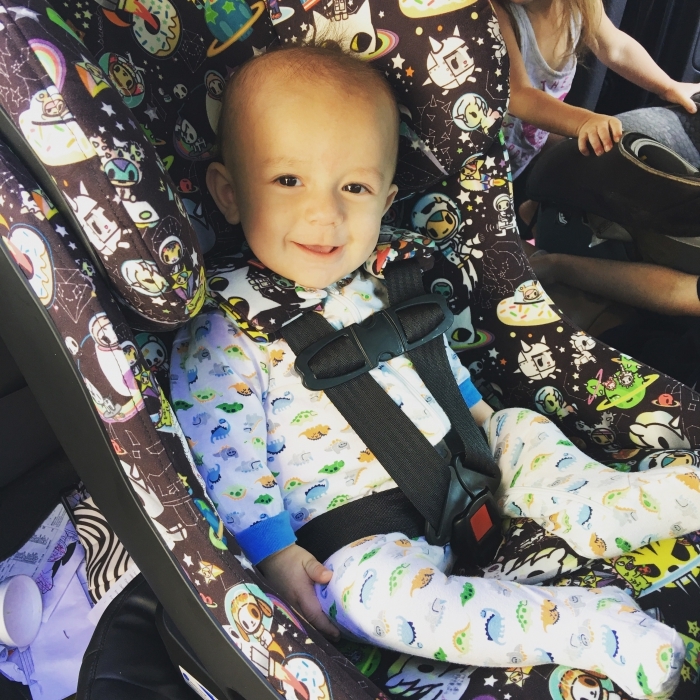 We had such a great experience with our first Clek Foonf purchase from Albee Baby last year that we knew we wouldn't trust anything else with baby 2! Foonf is sturdy, solid, and sleek! We love that our kiddos can see out of the car windows so well while rear-facing until at least age 4! Installation is simple and straightforward. Our car-hating kiddos have both shown noticible improvement since switching to Foonf (and our toddler -who formerly screamed non-stop in the car) now asks to go for rides! Awesome! Thanks to Clek for sending us their Infant Thingy infant insert a month before it's release, we were able to get our littlest babe in a Foonf even sooner! ProsSturdy Safe Comfy for babe Amazing quality North American made (if that's important to you) And can now be used from birth with the Clek Infant Thingy! ConsIt is quite heavy - I consider this a pro as it is more sturdy and better protects my little ones. Large - again, a pro for me because it will comfortably accommodate my kiddos for quite some time. we bought this in snowberry for our baby, she was about 6m when we got it. I love the seat but we ended up having to use a pool noodle to get the angle right so that her head didn't slump forward. The seat is also hard to install if your seats have lips like or sienna does. It's super easy to clean you just need water and the dirt comes right off. I wish it had washable fabric though. At 3 yrs old our girl is still rear facing and has three slots before she outgrows the seat which means she will be in this till she is 7 yrs old at the rate she grows. Consgetting the correct angle is tough in some seats without a pool noodle. Best Usesrear facing for a very long time. We were very excited to finally get this car seat. It fits really well in our car and our daughter loves it! The color looks just as the photo suggests. The install was a little tricky in our car but the folks over at Clek were wonderfully helpful and we were able to safely install this seat. I definitely recommend!! I just LOVE this car seat. It was a super easy install. Baby really enjoys being in it as well. She can see out of the window and this keeps her occupied. PROS: Easy to adjust straps. Easy Install. Fabric is super easy to clean. CONS: Heavy (but understandably so, with the building materials) It fits in our 2007 Honda CRV but it's a tight fit (rear facing). Mainly it's a squeeze getting baby in and out without hitting her head. Once she's in the seat we are all good though :) Upgrading to a bigger vehicle soon and that should solve any of the issues we are currently experiencing. I purchased this seat for my daughter when she was 9 months old. It has been six months and still looks brand new. Super easy to clean and she loves being able to see out the windows while we are moving. I am debating about getting another foonf or a fllo for my niece. 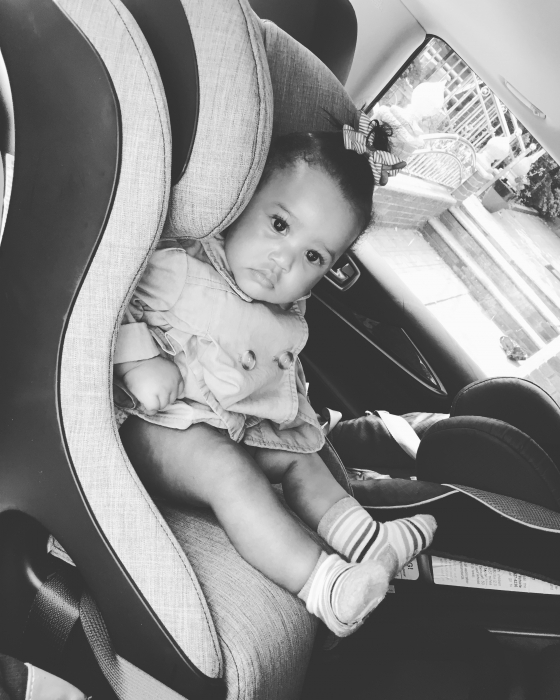 I am not going to buy any other brand of car seat since Clek makes the best products. It can be a little hard to get at the right angle, I drive a Montero and the seats are very sloped, when installing. Once it is locked in though, it is solid and wont give an inch. My niece's nautilus seems cheap and flimsy compared to the foonf. I love this seat and brand. When spending this much, I did tons of research. Trust me you will def be happy with your purchase! Did I mention they can stay rear facing up to 50 lbs? This was a major selling point for our family. 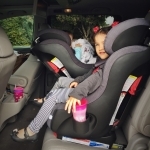 We love the waterproof, anti bac fabric...haven't had any problems at all:) It is also one of the narrowest car seats on the market if space is an issue. Love the re-bound bar for safety too!